There are a number of reasons why people are interested in the first day of fall, with the sight of nature changing moods through colorful foliage often being reason enough. But when does fall begin exactly? Fall is said to have begun once the year reaches the autumnal equinox – the astronomical name for when fall begins in the northern hemisphere and spring starts in the southern hemisphere. On these dates, the sun is positioned right above the “celestial equator,” which is the imaginary line that divides the Earth’s northern and southern hemispheres. In this situation, the amount of the sun’s rays received by the Earth are distributed almost equally between both hemispheres, and thus days and nights have an equal number of hours. This is not to say, however, that you can immediately feel temperature drops in the weather or see the fall colors in the trees. The changing of seasons is a slow process that’s affected by many factors. 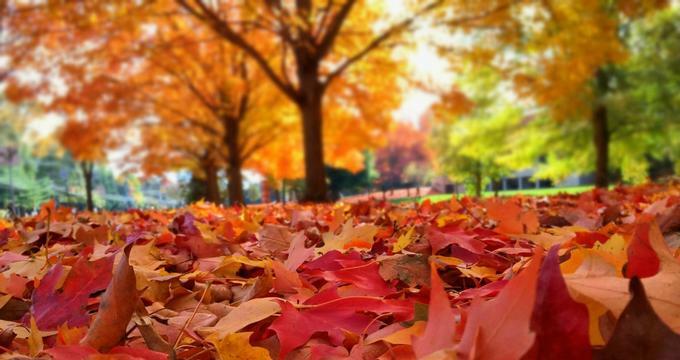 So, don’t expect to see beautiful fall colors everywhere just because September hits the 20s. Another way to characterize the fall season is a significant drop in nighttime temperatures. Some people will experience below-freezing temperatures in the evening, while the days can go below 70°F. Later on, in the fall season, the temperatures will go even lower and the days will be shorter than the nights. What Happens to the Leaves in Fall? If there’s one thing that people remember about the fall season, it’s that the leaves change into their beautiful autumn colors. But, contrary to popular belief, this doesn’t happen to ALL leaves during the fall, and it is most noticeable among maple, aspen, gum, and oak trees. While the change in color is due to various factors, it is primarily caused by the amount of sunlight the leaves get during the day. During spring and summer, the leaves are green because they contain large amounts of chlorophyll, which gives them the green color. But as this supply dwindles, the green colors fade. Eventually, the leaves will fall and the ground will be filled with piles of leaves for children to play in. For everyone else, fall marks the time when people start preparing for Halloween and Thanksgiving. All in all, there’s so much to look forward to once it’s the first day of fall.